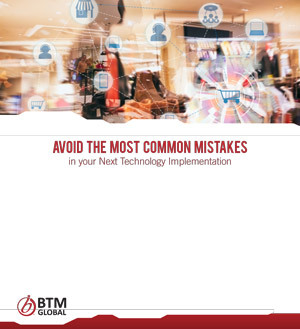 Retail technology implementations are complex, to put it mildly. Whether you’re upgrading an existing app or implementing an entirely new system, there are new processes to plan and consider, vendors to track, budgets and timelines to follow, and internal expectations to manage. In the midst of this whirlwind, it’s easy to overlook things that, if not addressed early, can become big problems as the project progresses.